CENTER VALLEY, Pa., February 5, 2015– Olympus continues to grow its interchangeable-lens lineup with the M.ZUIKO DIGITAL ED 14-150mm f4.0-5.6 II (28-300mm, 35mm equivalent) lens. With 10.7x magnification, this versatile Micro Four Thirds® lens features incredible zoom capabilities in a compact, lightweight body. A dustproof, splashproof construction makes this lens durable enough to withstand the toughest shooting conditions when paired with the Olympus OM-D E-M1® or OM-D E-M5 Mark II®. With the M.ZUIKO DIGITAL ED 14-150mm f4.0-5.6 II included, the M.ZUIKO DIGITAL dustproof, splashproof lens lineup now offers five exceptional lenses for all of your professional shooting needs. An improvement upon the M.Zuiko 14-150mm f4.0-5.6, released in June 2010, this new lens also features ZERO (ZUIKO Extra-low Reflection Optical) Coating on the surface of the lens to eliminate scratches as well as reduce ghosting and lens flare, even in very bright situations, for the clearest images. Covering focal lengths from wide-angle to telephoto, the M.ZUIKO DIGITAL 14-150mm f4.0-5.6 II is perfect for capturing any type of scene, from portraiture to travel photography featuring a wide variety of subjects. The lens can capture subjects at all zoom ranges from a closest shooting distance of 20 inches (approx. 13 inches from the end of the lens). A maximum shooting magnification `of 0.22x (35mm equivalent: 0.44x) is possible with close-up photography. The M.ZUIKO DIGITAL 14-150mm f4.0-5.6 II features an internal focusing system utilizing an MSC mechanism making high-speed, silent autofocus possible for seamless still-image and movie capture. The manual focusing mechanism is designed to offer a responsive feel, with the perfect amount of resistance to enable smooth, precise operation. With silent autofocus operation, nature photographers can get the shot they need without disturbing wildlife, while all photographers will benefit from clear audio while capturing video. 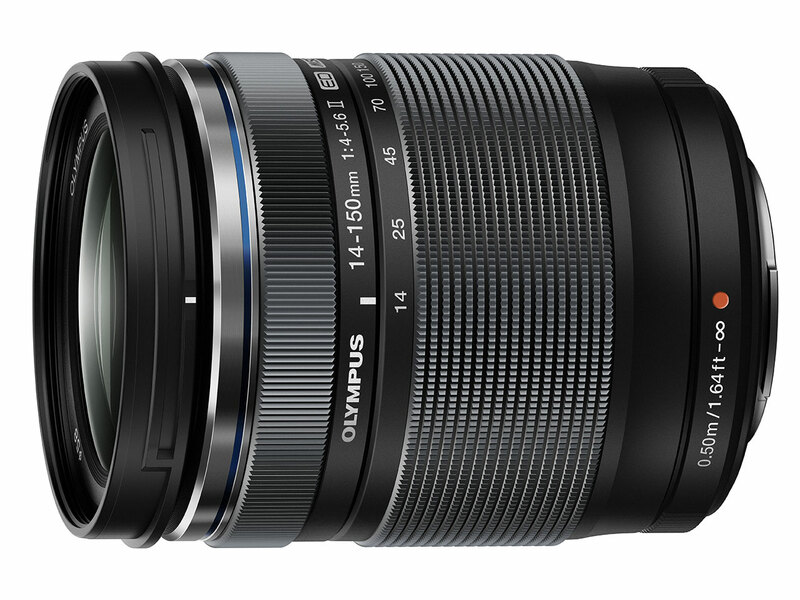 Olympus has also developed a professional-grade lens filter for the M.ZUIKO DIGITAL 14-150mm f4.0-5.6 II Lens. The PRF-D58 PRO is a lightweight, thin protective filter, created with double-sided, multi-coating and blackened glass edges to suppress ghosting and lens flare, for the clearest shots. The pouch-style LSC-0914 Lens Case is designed with a three-layer construction to offer additional protection.